What Order Should Your Aquarium Filter Media Go In? Aquarium owners buying a canister filter are faced with the age-old question – what's the write packing order for filter media? Anything you place in your canister filter that will change the quality of the water is considered a filter media. 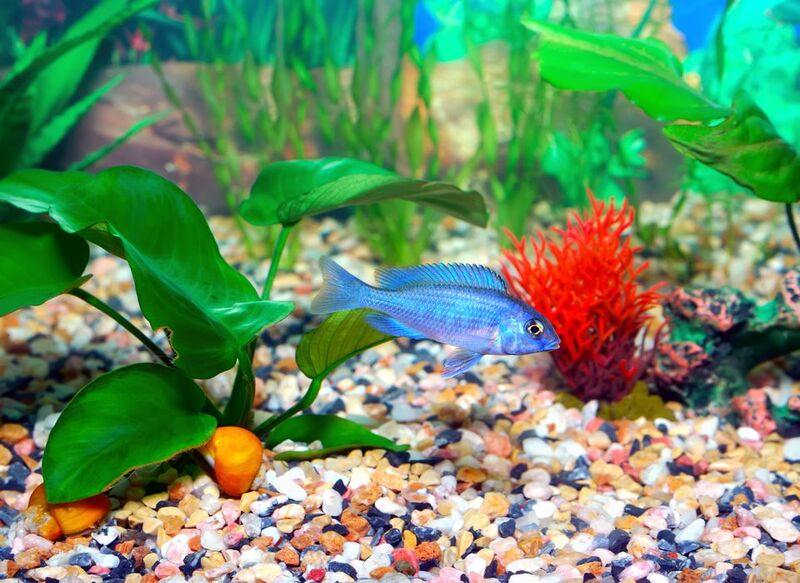 The conditions you require in your aquarium will change which filter media you need and which order to place it in but there is a general guideline to it. Mechanical filter media should be placed first before the biological and chemical filter media. Mechanical media is intended to remove the larger particles, thus eliminating clogging in other areas of the filter. Placing it first in line allows much of the debris to be captured before reaching other filter media. Types of mechanical filtration media include filter wool or floss, bonded pads, and sponges. While some of these can serve a dual purpose as biological media, it is important to remember that mechanical filter media has to be replaced frequently to be effective. Some owners prefer to use sponge media as both mechanical and biological media. Although the topic is often hotly debated, the fact is it doesn’t matter if specialized biological media, such as ceramic rings, is used. Sponges and pads can serve as both mechanical and biological media. When dual purpose media is used, you need several layers, preferably of different degrees of coarseness. The coarsest material is placed first. Because the sponges are serving as both mechanical and biological media, each layer should be cleaned at different times. By staggering the cleaning schedule, there is less disruption to the bacterial colonies. Biological media is usually placed after the mechanical media and before the chemical media. It is particularly important that the biological media does not become clogged, as it serves as host for the beneficial bacteria colonies. If clogged, the oxygen flow is impeded, putting the bacterial colonies at risk of dying off. For that reason, do not place biological media, as the topmost media in a canister filter. Types of biological filtration media include ceramic rings, sponges, pads, bio balls and stars, sand, and gravel. Keep in mind that some of these can be used as mechanical filters as well. Many aquarists use chemical media to remove toxins and alter water chemistry. If used, where should chemical media be placed? Generally, chemical media is placed at the bottom of the filter. If chemical media is placed first, it will become clogged and have to be replaced long before its chemical filtering properties are exhausted. Placing chemical media before the biological media means that some of what the bacteria live on will be removed before reaching the biological colonies. As a result, ammonia and nitrite loving bacteria will be less likely to thrive in the biological filter media. Placing chemical filtration media as the last stage of the filter ensures it does not affect the bacterial colonies. Types of chemical filtration media include activated carbon, zeolite, peat, ferric hydroxide, and various resins. Ultimately the order of filtration media is up to the aquarium owner. Keep the basics in mind and experiment with combining the media types and order to achieve the best filtration for your aquarium.